Visitors will see significant changes at ski resort after $10 million in improvements. In the upcoming season, visitors will see significant changes at Gore Mountain ski resort after $10 million in improvements. Most notable is the makeover of two buildings that date to the early days of the New York State-owned venue in North Creek, which opened in 1964. The Saddle Lodge, located at the top of the Adirondack Express II and North Quad chairlifts, has been expanded and completely renovated. 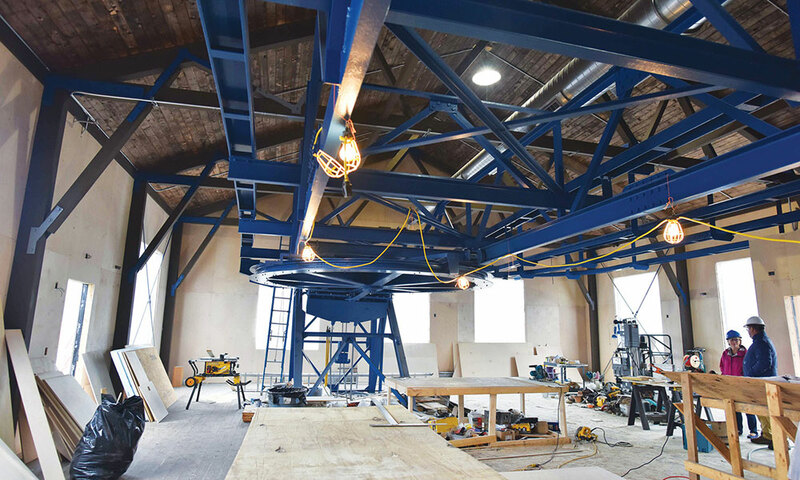 At the summit of 3,600-foot Gore Mountain, the building that served as the top terminal for the first gondola has been brought back to life. That changed in January 2017, when Gov. Andrew Cuomo announced that the state’s Olympic Regional Development Authority based in Lake Placid would receive a total of $20 million for Gore Mountain and the Whiteface Mountain Ski Center in Wilmington. Another $8 million was designated for a gondola at ORDA’s Belleayre Ski Center in the Catskills. “The money that was allocated will keep Gore Mountain competitive with other ski resorts in the East, and help make it a year-round destination and an economic catalyst for the region,” ORDA spokesman Jon Lundin said. ORDA’s new president and CEO Mike Pratt was named Gore’s general manager in 1996 and was instrumental in the expansion of the ski center. 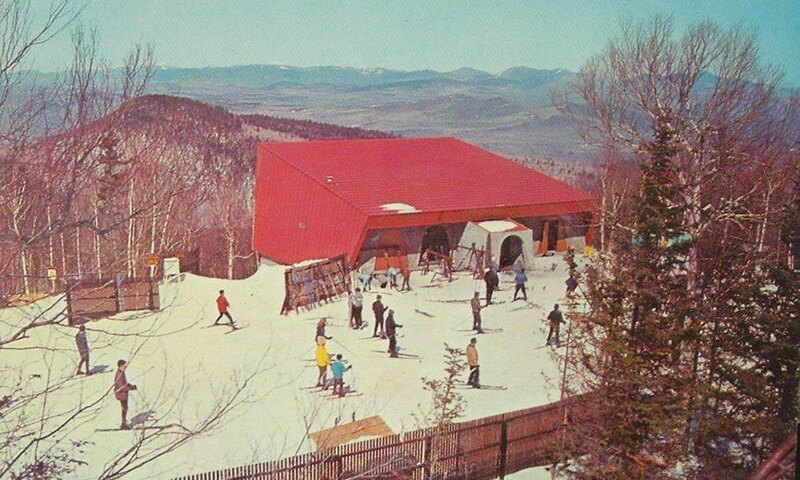 When Gore’s original gondola was closed in 1999, the unheated building, which resembled an old barn, was used for storage. It has been rebuilt and named the Straight Brook Lodge. The structure has a large space that is a combination warming area and lunch room. It also has high-tech composting toilets, a huge step forward in comfort and convenience from the previous outhouses. Though less dramatically, the Base Lodge and the Northwoods Lodge have changed, too. A new parking lot for 190 cars will accommodate the cars parked along the access road on weekends and other busy days. Some of the money was used to purchase 30-foot towers, 15 of them, and 88 more efficient heads for Gore’s extensive snowmaking system. Gore General Manager James “Bone” Bayse and Carbone have overseen the projects and dealt with the pressure of having the work completed before the 2017-18 season start in late November. “We awarded the contracts shortly after we closed and have been hard at it ever since,” Carbone said. While not everyone goes to the summit, skiers of many abilities use the Saddle Lodge, which was built more than 50 years ago to resemble an Adirondack lean-to. It had a snack bar, restrooms, a magnificent view of the High Peaks and could accommodate 110 people. 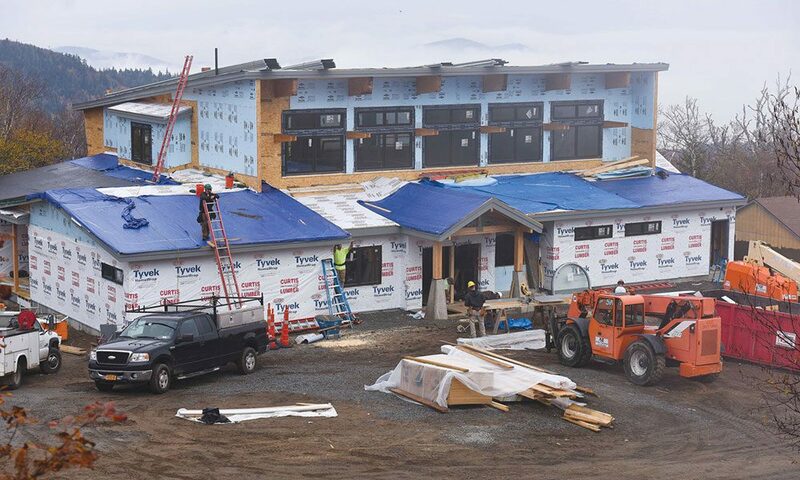 The new Saddle Lodge will seat 240, and the rest rooms have been expanded. “We designed it to try to utilize and try to save as much of it as we could,” Carbone said. “We saved the floor system. We saved the fireplace, the mezzanine, the stairs, the foundation and we tried to do it as efficiently and cost-effectively as we could. That’s what ended up making the building the shape it is. We used the original timbers that we tipped 13 feet in the other direction, giving us a full second floor and a Southern exposure with all kinds of glass that makes the building much warmer and more inviting. The natural light is excellent. The new entryway is beautiful. The Straight Brook Lodge will not have food service, but there will be vending machines with beverages and snacks. Gore officials opted to rebuild around the steel rail framework at the top of the old gondola. The space, to be heated to 55 degrees, will be filled with tables and chairs. At the base area, much of the Northwoods Lodge, home to the rental center and the Kids Club, has been renovated and reconfigured. “We will have twice the facilities at the Northwoods Lodge to welcome people,” Carbone said. “The rental experience is going to be much better. The whole experience is going to be much better. Award-winning journalist Mike Kane is a contributing editor at Saratoga Living.